With the 2019 class filling up and a handful of top targets still remaining on the board, it looked likely that some attrition would come to the current commitment list. And the movement has already begun as Belleville (MI) DL Tyrece Woods has reopened his recruitment by decommitting from Michigan. Woods committed to Michigan back in August shortly after receiving his offer from the staff after camping in front of the staff. This is the third decommitment of the class for Michigan and brings the class back down to 25 in total. But it may not be the last loss prior to the Early Signing Day as RB Eric Gray looks like he’ll sign elsewhere and others potentially coming as the positional group numbers continue to work out. 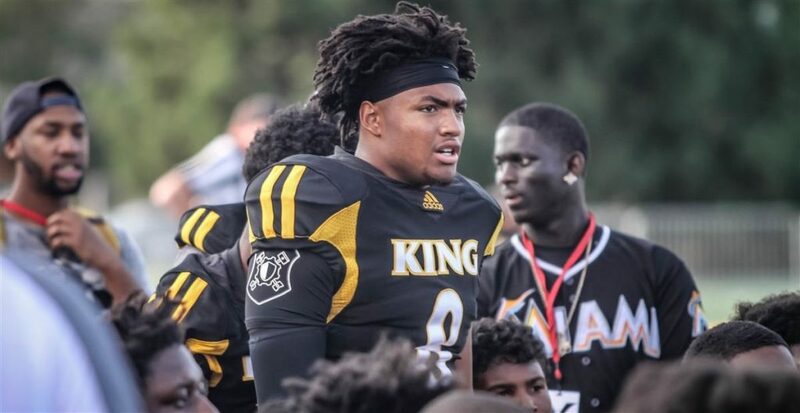 As for the two defensive line targets that the staff is in great shape for with less than a month left before the signing period, DE Zach Harrison and DE George Karlaftis are both five-stars that could end up being two of the better players in this entire class.